Can a VPN Hide Your IP Address When Doing Surveys? As you are probably aware, there are certain websites and online services you can only access from certain countries – this also goes for paid survey sites. For some countries the opportunities can be quite limited. It can therefore be tempting to consider hiding your IP address by using a VPN when taking surveys, or when you in general want access to services that are not available in your country. This can supposedly help you hide your IP address and hide the country you live in and thereby give you access to websites and survey sites, you would not usually be able to use. But is it even legal to use a VPN, what can a VPN in general be used for, it is possible to hide your IP address when doing surveys, is it safe, and can it help you get more surveys or access to more online services in general? This article will go into all this and show you the potential, the things to be careful about, and it will also show you the best VPN to hide your IP address, if you choose this is the right solution for you. What is a VPN and how to hide your IP adress with it? I have already mentioned VPN several times, so before going any further, I just want to explain what this actually is. VPN is short for Virtual Private Network. It is also sometimes known as a proxy server and it is often used to bypass IP address blocking. VPN is a software you can download that can hide your online identity and let you browse any information in the world without restrictions because of your location etc. It makes it possible to surf the internet anonymously from anywhere. It works by encrypting your internet connection and swaps out your IP address (which is what identifies your device and location) for another one. So to use a VPN and hide your IP address, you will need a software. Later I will show my recommended software, if you end up wanting to get one. 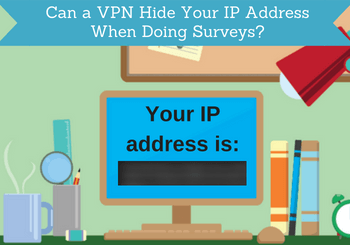 Why you might want to hide your IP address when taking surveys? There are many survey companies all over the world, and there are therefore also survey sites for people in most parts of the world. There are however countries that have a lot more opportunities than others, and you might therefore want access to some of the panels that are only available in a country, where you are not living. In theory, you can by hiding your IP address or change it, make it look like you are located in another country. This way you can then sign up for survey sites and participate in surveys from all over the world. This can be tempting – especially if you live in a smaller country where you do not immediately find so many offers and survey sites. I must admit that I myself have considered this option, as I live in a small European country where it takes a bit of effort to find good available survey sites, and in the beginning, I could only find the big American sites that I was not allowed to join. Below I will explain a bit more about how you can hide your IP address, but before deciding to do this, also make sure to read what you need to be careful about, if you use a VPN to take surveys, as it in some cases can be risky and might end up hurting your chances of getting more surveys. More about this later in the article. What else can you get out of hiding your IP address? As already mentioned, some people are looking into using a VPN for surveys to get more earning opportunities, but there are many other things a VPN can be used for. Hiding your IP address online is something that is becoming more and more popular in general. Some of the main reasons for this are. You are not always safe when surfing the internet. And more and more people are not only concerned about this but also concerned about their privacy. Meaning how they can make sure their bank info, private info, private messaging stay safe, when they are using the internet. By masking your IP address, you can prevent your internet service provider from tracking and storing all these data about you. Some people are not concerned about this, but others are. If you are concerned, a VPN might be the solution. A very popular reason for using a VPN is streaming. Streaming services are very popular, and it is a great way to be able watch the TV shows and movies you want, when you want. But often these streaming services are restricted by your IP address, and especially if you do not live in the US or UK, there will be many shows and movies you can not stream on the most popular streaming services. By using a VPN, you can choose which country your IP address are from, and this will make it possible to stream any show from anywhere in the world. This also makes it possible to stream TV shows from your home country, if you are travelling, on holiday, or live abroad, which you would often not be able to otherwise. It is not only streaming services that often restrict access depending on your IP address. Many other websites and online services do this as well (like for example certain paid survey sites). A VPN/proxy can by masking your IP address give you access to any website by making it look you are from the country you choose. Sometimes public wifi networks are not entire secure. VPN software can make your connection secure and make it safe to for example do online banking, when you are connected to a public network. VPN technology is not only used by private people. It is also often used by large corporations, government agencies and educational institutions as a way to allow remote users connect to their private network securely. As you can see, it is a software that can be used for many purposes, and is not developed for survey sites and for getting access to more surveys, but it can in some cases be possible to use it for this purpose also. The technology and software is 100% legal. But like anything legal, it can be misused. So it can be a good idea to check the local laws of the country you live in or the rules for the services you want to use, so you are sure you do not break any laws. But a VPN itself is a legal software. What to be careful about if using VPN/proxy for surveys? As you can see, there are many things a VPN can be used for. As my website is mainly about paid surveys, I however want to go a little more into details about what to consider before using a VPN when taking online surveys. If you are interested in just learning more about a good VPN software, you can just scroll to the next section of this article. One thing you need to consider is the security of the survey sites. Survey sites make a living from making sure they get quality answers. If the answers will not be of high quality, the companies that are using the research and paying for it, will stop paying for it. And then survey sites will no longer be able to exist and offer paid surveys. 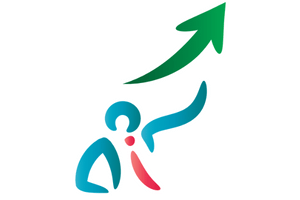 A part of assuring high quality answers is to make sure it is only the selected target group that answers. An American company that only has services or products in the US might not interested in paying for the opinions of people living in completely different parts of the world, that have maybe never even heard of their product. For this reason, survey sites are doing what they can to have high security. In some cases this means that you are not allowed to use a VPN – you will be able to see this in their terms and conditions. The sites that do not allow this will often have measurements that will detect, if you are using a VPN or proxy. Of course how well they can detect it depends on how good your software is, but nonetheless you will be breaking the rules on certain sites by using a VPN. At the sites where they can detect it, you can end up getting banned, if you try to login using a VPN. There are however survey sites where it is possible and allowed to use a VPN. So the best way to know is to check the terms for the specific sites. If you are already a member of a site and want to test if using it from another location can give you more surveys, you might end up getting banned and lose the earnings you already have. When you join a survey site, you will in most cases tell which country you live in, and sometimes the site will also be able to detect this based on your IP address. If you then suddenly login from a different country they get suspicious. Especially if you one day login from one country and 1 hour later it looks like you login from another. Some sites will let you know that they have detected something strange and give you a chance to explain, but others will just ban you without any warning. That also means that if you already have earnings on the site, you have not paid out, you will lose these, if you did not make sure to get a payout before the ban. So again be sure to check the terms and conditions on the site before suddenly starting to use a VPN on sites you already are a member of. You might be in a situation where the network you are using is already automatically using VPN software for security reasons. For example if you use the network at your work place or educational institution. Or you might like using a VPN yourself for security reasons. If this is the case, you have to read the conditions of the specific survey sites, so you do not risk violating the terms and conditions that can get you banned. If it is your own network, you can chose to disable the VPN software while doing surveys on the sites that do not allow this and can detect it. But if it is a network that you do not have any control over, this might not be possible. In that case, you just have to go for the survey sites that are allowing this or contact their support to explain the situation and see, if they can help. Is a VPN free to use? You can get access to free VPN software, but the quality will also be according to that. They will often not really be secure, and they will also often not work – I have for example tried to use a free VPN to stream, and it was not possible, as it simply did not do a proper job. So if you want to use a VPN, it can be worth looking into paid options. Often they come with a monthly subscription fee, and you can stop it at anytime. So since it has a cost, you need to consider how much you will use, to see if it is worth it for you. In case you want to use a VPN after having read the info above, then you can find my recommendation for one of the best software below. What is the best VPN software option? There are a lot of VPN software available. As already mentioned, you should not expect great results by using a free VPN. But how do you then find a paid one that is working properly? NordVPN is one of the absolute highest rated VPN softwares. It has for example been chosen as the PC MAG editors choice. NordVPN is not only one of the VPN that gets the best reviews for its performance. It also has some of the best pricing options. NordVPN is one of the VPN that gives best value for money. As you can see, you can get a really good price, if you buy access for a longer period. $2.75 per month for a service like this is VERY good value for money. So if you are planning to use a VPN for a long time, it might be worth getting it for a longer period. Also, remember that NordVPN has a 30 day money back guarantee, so if you end up not liking the service, you can just change your mind and get your money back within the first 30 days. So if you are looking for a high-quality VPN, then this it a great choice. A VPN can be a great tool for many purposes. If you want to buy access to a VPN with the only purpose of getting access to more surveys, it might however not be worth it. 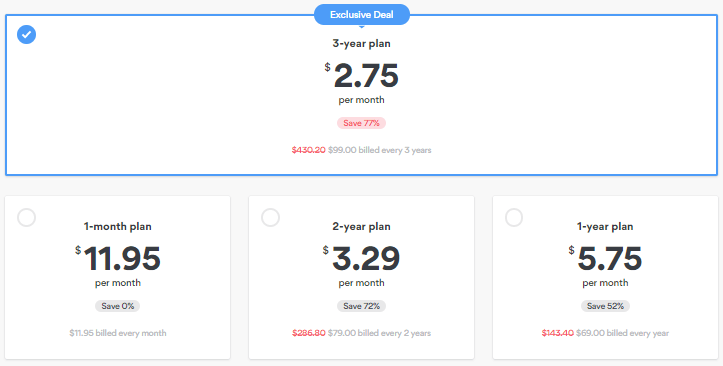 Of course if you buy NordVPN, as I mention above, and get it for a longer period, it is a very small monthly fee, which can be covered by taking just a few surveys. So it is not a big or risky investment. But remember that not all survey sites allow the use of VPN/proxy, so make sure you check the terms and conditions, so you do not break any of their rules. In general, I think it can be great to have a VPN, as it gives many advantages like for example the security and the ability to stream, surf, and use any site you want. If you are looking for great survey opportunities, you can also check out my list of the best survey sites in your country, as you might find out you do not need a VPN. No matter what your reasons are to look for a way to hide your IP address, you do however hopefully now know more about what to be aware of and what the best option is, if you decide to get one. If you have any comments, questions, or any experiences with using a VPN yourself, please feel free to leave a comment below. I work for a company that requires surveys to be filled out. However, it detects if there is a duplicate ip address from different surveys, how can we avoid this? I, unfortunately, do not know this Drew. Maybe something you need to talk to the software developer that owns the software you are using about. Mikael how can i earn money online? bro i tried many sites but surveys doesnt work in my location ,im from Egypt ,or how can i develop my self with vpn any courses ,,how can i be a freelancer show me the way bro any field . How you can earn money online depends a lot on your goals. If you want to earn some extra cash on the side, paid surveys and get-paid-to sites is one of the easiest ways to do this and something you can do without any costs at all. I have also written an article about how you can build a full-time income online if this is what you are going for. Just be aware that there is no quick fix online that will make you rich overnight even though many systems promise this. But overall the best approach depends a lot on your goals and the time you are willing to put in. Hope this helps and feel free to let me know if you have more questions. Please can I use VPN on Swagbucks? Theoretically, you can. But I am pretty sure they will detect it at some point. They do not want you to make it look like you are from another country than you really are as that will affect the quality of their responses and it will become more difficult for them to get advertisers. But if you live in a country where Swagbucks is available and are just using VPN for online safety, then I would suggest you to reach out to their support and make sure that is ok with them so you do not suddenly end up being blocked. If you want to make it look like you a from another country to be able to join Swagbucks even though it is not available in your country, you should expect they will find out and ban you. Then it is better to find sites that are available in your country. If you let me know in which country you live, I will be happy to come with a few sugfestions. When I use a VPN to earn money online and want to retrieve the money earned with a paypal account that is registered with real information (actual country details), will my location be compromised, leading to blocking payments or something of the sort? I cannot say for sure. It depends on the platform you have used to earn the money. As written in the article, many survey sites do, for example, not allow the use of a VPN and if they find out they will block your account. But some survey sites allow it and some other types of online money making platforms do also not have a problem with it. In general, I think it is possible they will block payments if they find out the VPN has been used to do something that goes against their terms and conditions. So best to check those for the sites you are using. Hi Mikeal, Does the VPS helps in this case? Sorry but I do not know Aryan. I have not tested it and not been able to find any info about it. If you find any info, feel free to keep me updated. I can unfortunately not help you. It takes quite some time and effort to promote an affiliate link, so if this is how you want to earn, you need to find a way to help people with quality information, and then maybe they will use your affiliate link. Can I use VPN on clixsense how can I do that? ClixSense does not allow the use of VPN. If they detect you are using VPN, you can risk getting your account banned. Many survey sites will do their best to detect if you use a VPN, and block you if they detect it. They do this to avoid people give wrong info about their location, to ensure high quality answers for their clients. So my best advice is to check the terms and conditions of each survey site, and do not use VPN, if they do not allow it. Also, Toluna has a site UAE, so you can join this instead of trying to join Toluna US. In UAE you can also consider sites like ClixSense and PrizeRebel, which are also available there. but the problem for Toluna in uae is is has very low – not give many surveys like USA. what about : paidfromsurveys and paidfromsurveys. I can use vpn with them ? I hope u can give me the best one. Not sure what you mean – paidfromsurveys.com is this website. This is a review site, where I review and give advice about paid surveys, so not sure what you mean about being able to use VPN here? Hi. Do you have a list of survey panels that allows vpn connection? Ive been using the vpn for months already and when I try to disable it to take surveys, it cant be disabled or maybe i just dont know how. ? so i might pushed myself to panels which allows vpn connections. Most survey sites will not allow vpn as they try to make sure people do not fake the country they are from when joining. So I do not know of any sites that officially in the terms say that they allow it. There might be some that do however still not block it, but it is not something I have not tested a lot, as I do not want to risk getting banned. It also depends why you are using a vpn – if it is because of security reasons, but you actually live in a country with good survey options, then one solution could be to contact the vpn provider and ask how to disable. I am sure they will be able to help you to do that easily whenever you need to. Or another solution could be to use a different device that does not have vpn, when you want to take surveys. For example your phone. Hope this helps, and feel free to let me know how it works out, and if you have any more questions. This was an interesting read. Iâ€™ve had previous experience with VPNâ€™s but I wasnâ€™t aware sites can know if you are using one so thatâ€™s useful to know. In terms of using a VPN just for surveys Iâ€™d have to agree that I donâ€™t see the point when the risk outweighs the possible reward and I will keep this in mind the next time I think of using a VPN. For me the main reason to use a VPN is to protect data rather than hiding my location but I guess everyone has different needs. Thanks for your comment Adam. Surveys are not the only reason people might want to hide their location. In some countries, you for example will not have access to certain streaming services because you do not live in the US. So then some people might be want to hide the location for that reasons. But as you say – everyone has different needs:-) And for surveys, it is definitely risky to use a VPN.